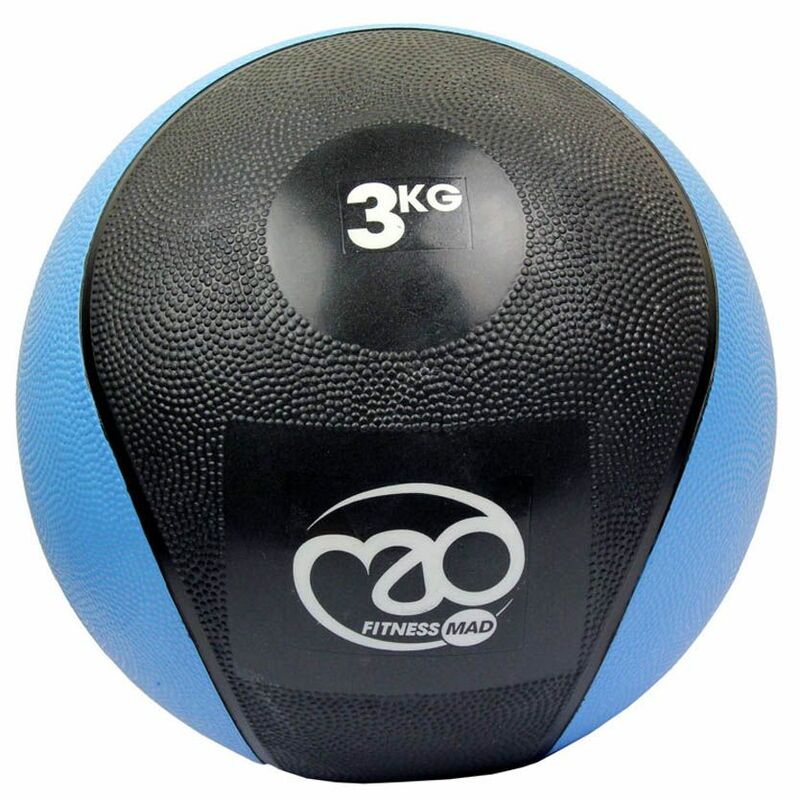 The Fitness Mad 3Kg PVC medicine ball is a medium-weight fitness accessory great for increasing the intensity and effectiveness of a vast amount of exercises that can work your whole body. Build up the strength and toning in all the major muscle groups, including your abs, and work out efficiently using this 3kg (6.6lbs) ball. Boxers, athletes, racquet sports players, golfers and many other fitness enthusiasts and sports players can benefit by incorporating this medicine ball into exercise routines, plus the ball is waterproof, easy to grip and will bounce. for submitting product information about Fitness Mad 3Kg PVC Medicine Ball We aim to answer all questions within 2-3 days. for submitting product information about Fitness Mad 3Kg PVC Medicine Ball. We aim to answer all questions within 2-3 days. If you provided your name and email address, we will email you as soon as the answer is published. for submitting product review about Fitness Mad 3Kg PVC Medicine Ball.